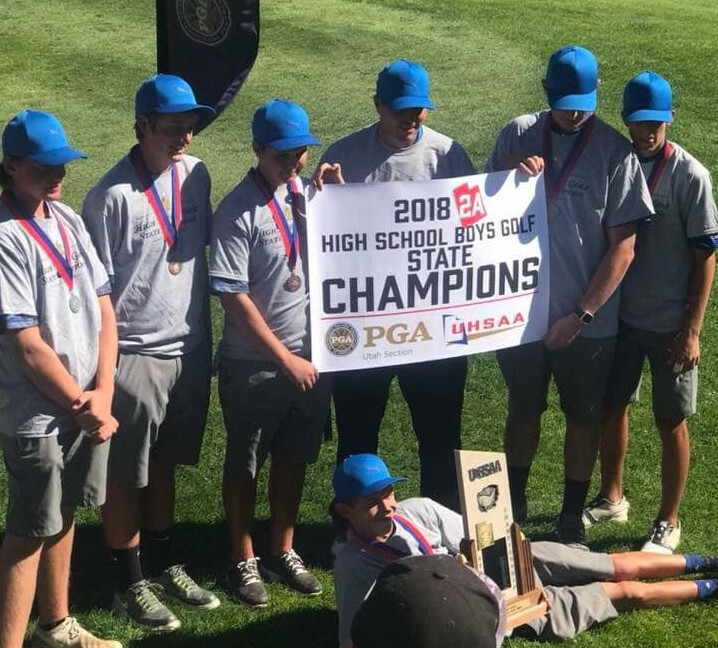 PAROWAN — As the various high school fall athletic seasons wind down, here’s a recap of sports action involving smaller (1A and 2A) schools in the Southern Utah area. The 1A baseball tournament was staged last week, with the finals being held Saturday, Oct. 6 at Dixie State University. In the championship game, Piute, Region 20’s No. 3 seed, edged region rival Wayne, the No. 2 seed, to win the title in a 6-5 thriller. The opening day of the tournament was remarkable in that the 1A South teams defeated their counterparts from the North division in all seven contests (Valley, the No. 1 seed from the South, had a bye). In the biggest upset the first day, eighth-seeded Diamond Ranch Academy defeated Tabiona, the North’s No. 1 seed, 17-9 at Spanish Fork. Then, in the quarterfinals on Oct. 2, also in Spanish Fork, Diamond Ranch upset Panguitch 4-3. Valley, the No. 1 seed from the South, made it past Green River 15-5 in the quarterfinals, but fell to Piute in the semifinals, 2-1, in St. George on Oct. 5. Meanwhile, in that day’s other semifinal game, Wayne defeated Diamond Ranch 10-6, putting the Badgers in the finals vs. Piute. To view the complete 1A baseball state tournament bracket and results, click here. With just eight football teams in the entire 1A classification, division contests are limited to the final three weeks of the season. In the 1A South, both Milford and Parowan emerged as top contenders. Milford, the reigning 1A champions, are undefeated this season. The Tigers improved their overall record to 7-0 with a 42-26 win at Kanab last Friday, Oct. 5. That same evening, the Parowan Rams hosted division rival Monticello. Shortly after being announced as homecoming king, senior quarterback Porter Wood threw two TD passes and rushed for two more as the Rams rolled to a 50-18 win. Parowan improved to 6-1 on the season with the win. The Rams play at Kanab Friday night, after which they’ll host Milford in the regular season finale on Oct. 19. Milford hosts Monticello this Friday in the other South division game. In the 2A classification, the two Southern Utah teams, Beaver and Enterprise, each have 2-2 records heading into the regular season finale, where they’ll play each other at Beaver Friday at 7 p.m. The two teams are tied for third in the division standings; San Juan leads the 2A South with a 4-0 record, while Grand is in second at 3-1. Regardless of their season records, however, all 12 teams in the classification qualify for the state playoffs, which start Oct. 18 at the home fields of the higher-seeded schools. In 1A volleyball, the top-ranked Panguitch Bobcats are 21-1 overall, 8-0 in Region 20 competition, while region rival Valley is 15-1 overall, 8-1 in region play, their only loss coming against Panguitch. Both teams are assured of berths in the state tournament, which is scheduled for Oct. 26-27 at Utah Valley University in Orem. In 2A volleyball, Enterprise is currently atop the Region 18 standings with a 21-4 record, including 9-0 in region play. The Lady Wolves have three more games left in the regular season, with the finale at home against Parowan on Oct. 18. The state 2A tournament is also Oct. 26-27 at UVU in Orem. Millard High School won both the girls and boys region titles at 2A’s Region 18 championship meet Thursday in Mt. Carmel. In addition to Millard, two other girls teams and three additional boys teams qualified for the state meet, scheduled for Wednesday, Oct. 17 at Sugarhouse Park in Salt Lake City. In the girls Region 18 race, Parowan placed second and Enterprise was third. Also qualifying for state as individuals were Avery Smith of North Sevier, Tavy Gale of Beaver and Joelle Werlinger of Kanab. Parowan’s boys also took second place at region, with third-place Kanab and fourth-place Beaver also qualifying for state. Individual males who also qualified were Wyatt Gardner of Enterprise, Kelby Bosh of North Sevier and Benjamin Hill of Gunnison. In the 1A classification, Panguitch High won both the boys and girls races in the Region 20 championships Tuesday at Mt. Carmel. Water Canyon took second for the boys and Valley was third. For the girls, Bryce Valley took second and Valley third. The tournament took place Sept. 26-27 at the Cove View Golf Course in Richfield. Beaver posted a two-day total of 616 strokes (only the four best scores are counted toward the team total), while runner-up Gunnison scored 708. 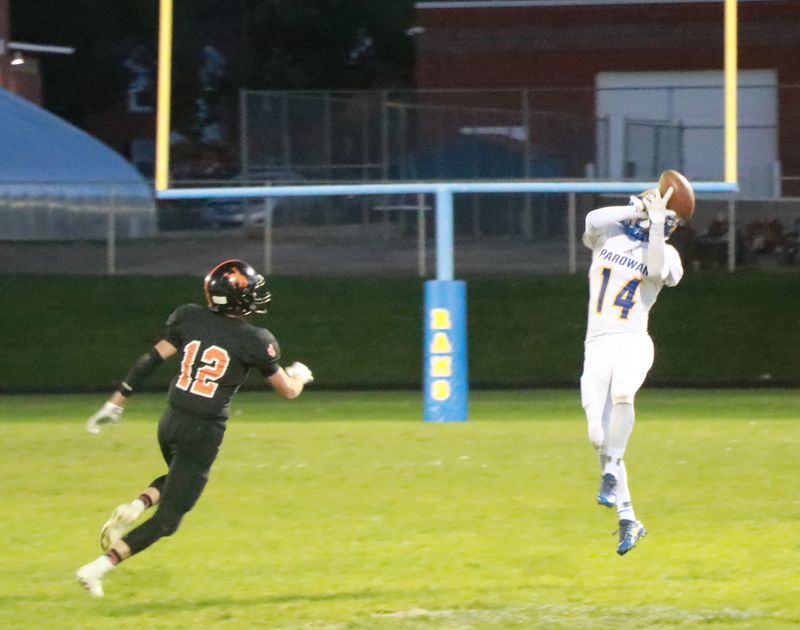 Parowan, which finished its regular season atop the 2A South division with an unbeaten record, will play St. Joseph in the state 2A quarterfinals at Parowan on Saturday at 1 p.m. The Lady Rams are 10-2 overall this season, outscoring their opponents by a total of 57-17. Also on Saturday afternoon, Millard hosts American Preparatory Academy of Draper, while Beaver plays at Waterford. To see the full bracket, click here. Shut THE HECK up Debra. Some of us actually like sports.